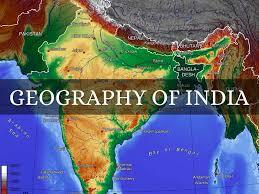 General Knowledge Question Related To Indian Geography Set 53 And Date Wise 22-10-2017 For All Examinations Which among the following rock system in India is also known as storehouse of minerals And provide the general question relating to the Indian constitution, that will much more and General knowledge questions and answers – for all competitive exams – MBA entrance, bank exams, RRB – Railway Recruitment Board And CAT, MAT, SBI-PO, RBI And Railway, Indian Army , Rajasthan,Delhi Police Related Study material And All competitive Exams. Question. (1) Tehri Dam is located in which state? टिहरी बाँध किस राज्य में स्थित है? Question. (2) The Koyna Dam located? Question. (3) Alamat dam is situated on which river? अल्माटी बाँध किस नदी पर स्थित है? Question. (4) Hirakud dam is situated on which river? हीराकुंड बांध किस नदी पर स्थित है? Question. (5) Thin dam is built on which river? थीन बाँध किस नदी पर बनाया गया है? Question. (6) Sabarmati river flows along the banks of which city? साबरमती नदी किस शहर के किनारे बहती है? Question. (7) The world famous salt water lake is located in which state? विश्वप्रसिद्ध खारे जल की झील सांभर किस राज्य में स्थित है? Question. (8) The Mettur Dam is bundled on which river? मेट्टूर बाँध किस नदी पर बाँधा गया है? Question. (9) Jog Falls is situated on which river? Question. (10) Shivasamudram waterfall is situated on which river?